Provide comfort for the family of Agnes Baumann with a meaningful gesture of sympathy. Warner Robins, GA – Agnes (Rust) Baumann, 83, went home to be with the Lord on Saturday, April 13, 2019 at her residence. A rosary will be said on Tuesday, April 16, 2019 at 6:00 pm at Burpee-Scott Memorial Chapel & Crematory with the visitation to follow until 8:00 pm. A Funeral Mass will be held on Wednesday, April 17, 2019 at 11:00 am at Sacred Heart Catholic Church with interment immediately following at Magnolia Park Cemetery. Father Fred Nijem and Deacon Jim Hunt will be officiating. In lieu of flowers, please make donations to Sacred Heart Catholic Church Building Fund or to donor’s favorite charity. Agnes was born on March 25, 1936 in California, KY to the late Felix and Agnes (Zink) Rust. She was an active member of Sacred Heart Catholic Church, where she worshipped and served the Lord faithfully. Agnes was the church organist for many years. She stayed home to raise her family and to take care of the home and always made sure their needs were met. Agnes loved her family dearly and will be sorely missed. In addition to her parents, Agnes was preceded in death by her son Eric Baumann and great-grandson, James Oliver Sauls. Left to cherish her memory is her beloved husband, Howard “Tony” Baumann; children: Tina Sauls of Centerville, GA, Tony Baumann of Choctaw, OK, Diana Roets (Bill) of Stafford, VA and Teresa Baumann of Valdosta, GA; sister: Mary Hartman of Dayton, KY; in-laws: Joseph Baumann of Union, KY, Edward Baumann of Loveland, OH, Leonard Baumann (Millie) of Alexandria, KY, Betty Verst of Highland Heights, KY and Marian Rust of California, KY; 12 grandchildren and 9 great-grandchildren. Please visit www.burpeescottmemorialchapel.com to sign the online guest book and to leave a memorial tribute for the family. With honor, Burpee-Scott Memorial Chapel & Crematory has been entrusted with arrangements. 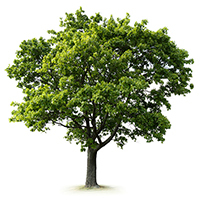 To plant a memorial tree in honor of Agnes Baumann (Rust), please visit our Heartfelt Sympathies Store. In loving memory of Agnes Baumann. God speed Agnes Baumann! May you Rest In Peace! When someone you love dies, for some, it's like a piece of you goes with them. For others it is a relief because they know they suffer no more. However, Jehovah God knows our deepest emotions. He understands that death is an enemy that we can't fight. That's why he promises that death will be swallowed up forever. (Isaiah 25:8). Also the Bible calls death the last enemy that will be brought to nothing (1 Corinthians 15:26). We also are promised a paradise here on earthp where there is no more pain or sorrow and God himself will wipe every tear from our eyes. (Revelation 21:3,4). For more BIBLE truth please visit J.W.ORG. Mrs. Baumann was a beautiful and talented soul. I sang with her in the choir at Sacred Heart in my early childhood and she played at my wedding. Our lives have been blessed because of her. Offering up prayers for the family. I am sorry for your loss - sweet memories of being part of the Children's Choir at Sacred Heart School for many years in the late 1970s and early 1980s- Mrs. Baumann was tireless in accompanying us...may perpetual light shine upon her and may her soul rest in peace.